Having a costume on Halloween *could* demonstrate to voters that a politician is 'real' or 'grounded'. But two costumes in as many days? That's starting to drift towards Halloween addict. 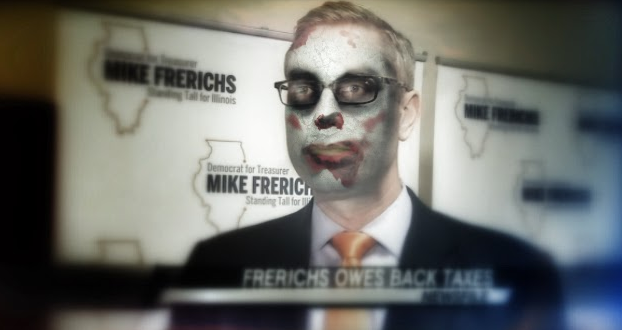 We posted the two different Halloween face paint setups that Mike Frerichs has shown on Facebook in the last 24 hours.